Ham Mill Gates are hung! 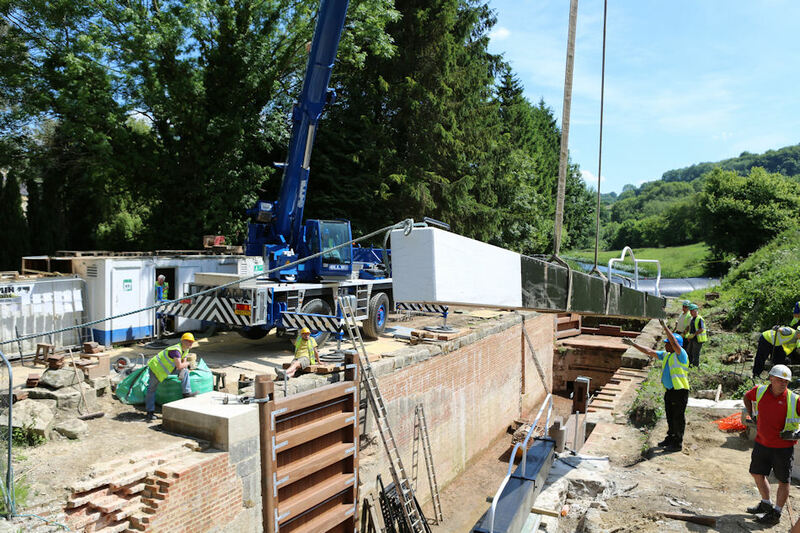 Fair weather and just the hint of a cooling breeze favoured the team hanging the gates at Ham Mill Lock today. CCT’s Martin Gray comments. “It has been a great day and the the gates are in position. "A lot of work will now follow. It is best to consider this as the halfway stage of the project." The team of volunteers will carry on with fixing coping stones and other important tasks for some weeks yet. An update story will follow early next week. In the meantime, click here to catch up on Mike Gallagher’s photos of events at Ham Mill.